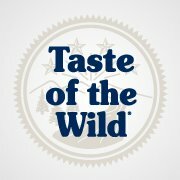 Taste of the Wild to help spread the word about their products. 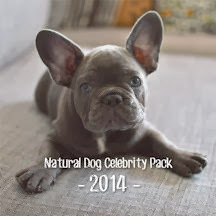 Good things come in small packages, and dogs are no exception. These tiny creatures bring endless excitement and joy into our lives. With all the goodness they share with us, are we returning the favor by providing them with the best care possible? Small dogs require extra nutrients to meet their needs due to their faster metabolic rates. Choosing a food with higher levels of protein and fat can help fulfill these needs. There are specific situations in which dogs might require less protein and fat in their diets. Contacting your veterinarian for specific guidelines is always a good idea if your pet has an ongoing medical concern. Tiny mouths, tiny teeth and a tiny esophagus can make eating normal size kibble a challenge. Choosing a food with small bite kibbles will make your pint-sized pup’s eating experience more enjoyable. Be sure to look at the ingredients in the food you choose. Select a food with a quality protein source and high-quality ingredients like fruits and vegetables. We’ve all had them: the dog that snubs his food at every meal or only picks at the food in the bowl. Finicky behavior often leads to supplementing or replacing a dog’s diet with snacks or human foods that are not complete and balanced. 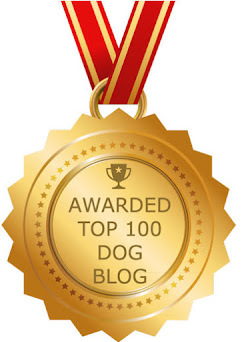 It is important for small breed dogs to consistently eat a quality, balanced diet. When looking through the many aisles of pet food, you may find choosing a high-quality food formulated for small breed dogs can be tough on the budget. Remember, choosing a cheaper food can often mean needing to feed a larger amount due to lower energy density or less digestible ingredients. So you may be asking yourself, how can I find a food that meets all these criteria and won’t break the bank? The nutritionists and veterinarians at Taste of the Wild understand the challenge of finding a food that meets the unique needs of small dogs, which is why they have developed Appalachian ValleyTM Small Breed Canine Formula with Venison & Garbanzo Beans – the first Taste of the Wild formula developed specifically for small breed dogs. This formula was developed to provide your small breed dog complete nutrition and offer optimum health benefits specific to your pet. · Protein and fat levels: Formulated to meet the needs of small breed dogs by offering a diet that is more energy dense with higher levels of protein and fat. · Kibble size: A smaller kibble size makes chewing and digestion easier for small mouths. · Ingredients: Venison is the first ingredient in the Appalachian Valley formula, offering a unique, lean protein source that is highly digestible and heart-healthy. Additionally, all Taste of the Wild formulas are grain-free. · Picky eaters: Small breed dogs can be finicky, so the energy-dense Appalachian Valley formula has higher levels of protein and fat that make the food more appealing to them. 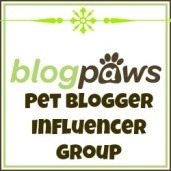 This allows small dogs to eat smaller portions to meet their nutritional requirements. Also, Taste of the Wild includes tasty ingredients like real meat, garbanzo beans and peas to serve a delicious tasting meal. No matter what formula you choose for your pets, it’s important to remember their nutritional requirements. If you’d like to speak to an on-staff veterinarian about your pet’s unique needs, or for more information about the Taste of the Wild Appalachian Valley formula, visit http://www.tasteofthewildpetfood.com/#contact-us. Want to win a cool gift basket USA friends? Ohhhhh a great review by you two Wild things!! What a great review! We are drooling all over the place! BOL! Great review. I do agree with the Cowspot dogs though it is so frustrating when you find something that works and they go and change it on you. Edward, your face says it all. I would send mom to the store to get this for me. Taste of the Wild...that stuff is super yummy! Mmmmm! Your face shows me how good it is! We have had Taste of the Wild many times and we love it. 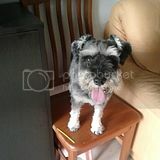 We are going to share your post with our little cousin Duncan's Mom - they are looking for a good food for him too. Buddy was recently gifted with some Taste of the Wild because of his allergies. He likes it. 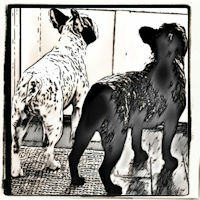 PS - The second FB thing says, Visit Two french Bulldogs on FB but it also goes to the TotW dog food fB page. We have had Taste of the Wild kibble and it is very yummy! We have heard good things about this food, and have known people that happily fed it to their small dogs (Frenchies like you guys!). Hi; thank you for providing all of this information for us. Hunter, a Bichon, is very picky indeed and I have tried Taste of the Wild in the past and he didn't seem to like it, but I will definitely try again. 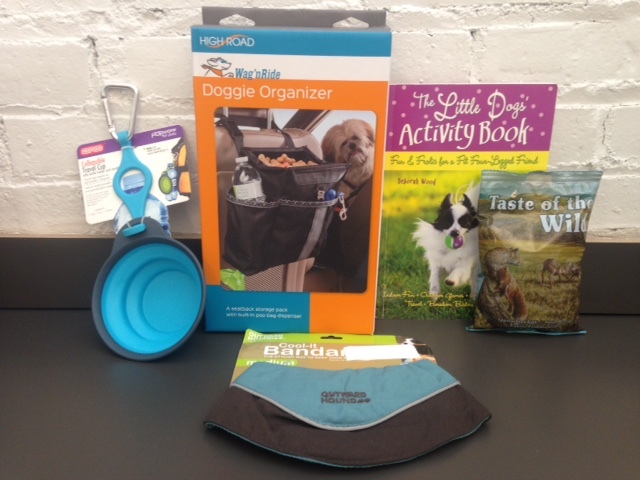 Maybe we can get Mr. Chewy to have that be one of their giveaways, for small dogs. Hunter does eat his kibble, but I often cook chicken to supplement his kibble. Thanks for sharing. My boys have never tried this but they say that if you like it, they will too! Thanks for your support for Chico during his cancer crisis. It means so much that others are keeping him in their thoughts and prayers. We are totally into wild tasting foodables! I like that...Nom Nom Nom! Yum, you've got a careful mom. It sounds very yummy to me! I'm trying to find healthy foods for my dogs and this food sounds great! Sounds like a great food! We are big fans of Taste of the Wild!! !